Pope Francis has accepted the resignation of Bishop Dinualdo Gutierrez, and has nominated Bohol native Fr. Cerilo Casicas, 51, as Bishop of the Diocese of Marbel. Bishop-elect Casicas, 51, became the fourth bishop of the diocese in South Cotabato province. The Diocese of Marbel comprises the civil provinces of South Cotabato, Sarangani and some parts of Sultan Kudarat, according to the Catholic Bishops’ Conference of the Philippines. 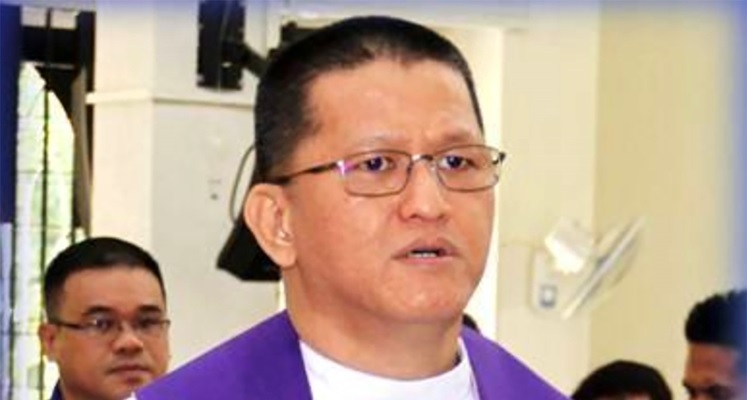 Casicas, who was born in Duero, Bohol in 1967 and a priest in the Marbel diocese, is the 19th Boholano clergyman elevated to the Catholic Church’s bishopric. He undertook philosophical studies for the priesthood at Our Lady of Perpetual Help Seminary at Koronadal in the province of South Cotabato. His theological training was completed at St Francis Xavier Regional Seminary in Davao. He was ordained for the priesthood for the Diocese of Marbel in 1994. Casicas completed a Licentiate in Dogmatic Theology in 2003 at the Pontifical Gregorian University in Rome. Pastoral assignments include Chancellor (1994-1995), Dean of studies at Our Lady of Perpetual Help Seminary (1995-2000), Chaplain of the Philippino community in Rome (2001-2004), Professor of Philosophy at the University of Notre Dame of Marbel in Koronadal (2005-2006), Parocchial Vicar of Jesus the Good Shepherd parish in Polomolok (2006-2009). The Bishop-elect spent a sabbatical year at Our Lady of the Philippines Trappist Monastery in Guimaras. After this experience, he took over as Parochial Vicar for three parishes in General Santos City. Since 2013, he has been the director of pastoral formation and a professor at St John Vianney Seminary of Camaman-an in Cagayan de Oro City.